Obituary for Joanne B (Babcock) Fuller | DiStasio Funeral Home Inc.
Joanne B. Fuller, 87, of Cattaraugus, NY, died December 2, 2018, in Cattaraugus surrounded by friends and family. Born in Buffalo, NY, to the late Leo and Clare Babcock, Mrs. Fuller graduated from Cattaraugus Central School and earned a Bachelor of Arts degree from Allegheny College. She taught third grade in Dansville, NY, before marrying and dedicating her life to raising her son and volunteering. Over the decades she served on the Board of Directors of the Bank of Cattaraugus, as Trustee and Treasurer of the Cattaraugus Free Library, as Trustee of Liberty Park Cemetery Association, as Treasurer of the Chautauqua Methodist Missionary Homes Board of Directors, and in many roles with the United Methodist Church in Cattaraugus, NY. 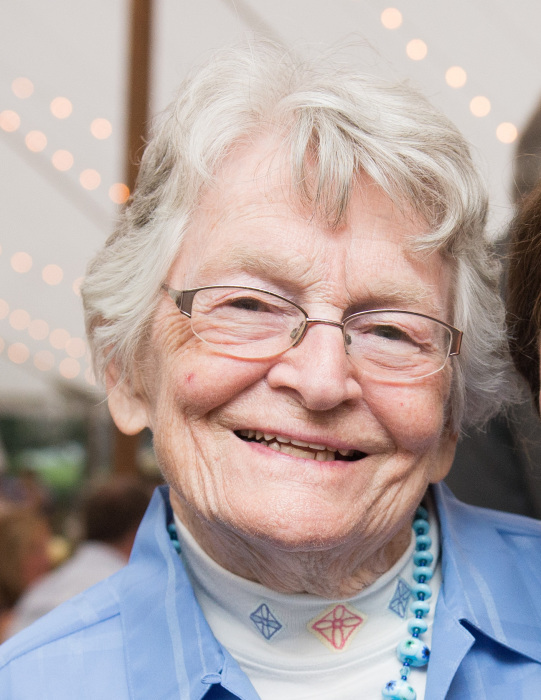 An avid world traveler, Mrs. Fuller also spent her summers on Lake Chautauqua and enjoyed attending lectures and concerts at the Chautauqua Institution. Her husband, Charles Fuller, died in 1983 and their son, Donald, died in 1990. Survivors include: faithful friend, Ray Pascarella; brother-in-law, Edward Fuller; cousin Janet (Hughes) Spalding; cousin Nancy (Jeffrey) Human; cousin Robert (Janet) Mattison and many other loved ones. Relatives and friends may visit the DiStasio Funeral Home at 55 S. Main St. in Cattaraugus on Saturday, December 8, from 11 a.m. to 11:30 a.m. with a funeral service immediately to follow. Interment will be in Liberty Park Cemetery in the Spring 2019.